Originally the high voltage and modulator transformers for the 50KW GE sat here. 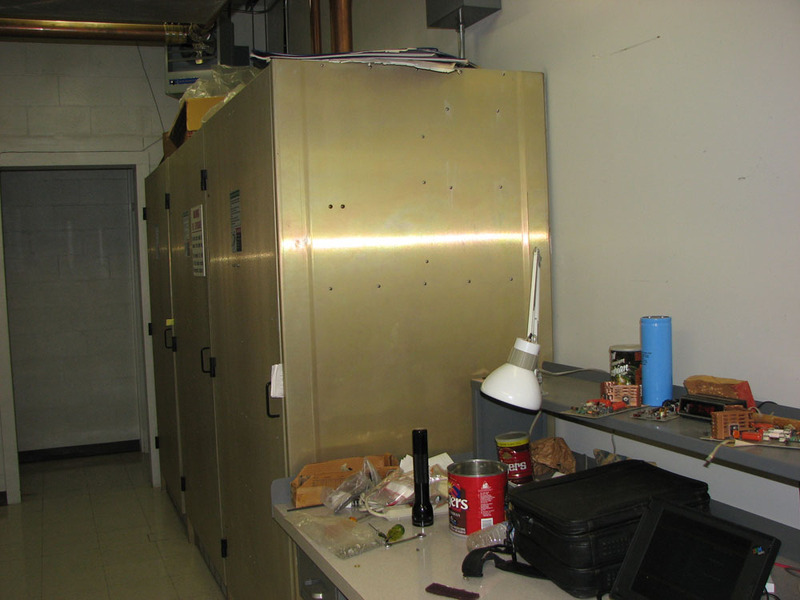 When the Nautel transmitter was installed it opened up this space, which eventually became the home for KTTH 770. Transmitter on the left. Antenna phasing equipment on the right.